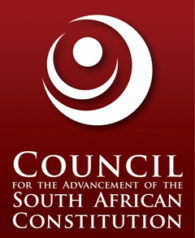 The Council for the Advancement of the South African Constitution (CASAC) has commissioned a legal opinion from the Socio-Economic Rights Institute (SERI) on the restraint of protest in or near university campuses. In recent years, there has notably been an increase in protest action across all universities in South Africa. Section 17 of the Constitution which specifies that “Everyone has the right, peacefully and unarmed, to assemble, to demonstrate, to picket and to present petitions”, is assessed against the apparent conflict with property rights on university campuses and the subsequent use of interdicts and force in restraining these protests. The opinion is further aimed at addressing the constitutional rights to the freedom of expression, bodily integrity and the rights of detained and arrested persons. The legal opinion has also taken cognisance of the legal judgments dealing with the right to protest.